Along with exclamations like “hocus pocus,” “shazam,” and “presto,” the word “abracadabra” is one of the most common expressions associated with magic and illusionism. The term, which nowadays usually marks the finale of a magicians trick and implies that a mysterious magical power has been summoned to perform some kind of a transformation, has found its way deep into popular culture and has been used as a magical incantation in countless books, films, and TV shows. Most popular terms associated with magic tricks have been introduced fairly recently: “hocus pocus” has been used since the early 17th century as a supposed supernatural charm, “hey presto” was devised by the British illusionists of the mid-18th century, and “shazam” was invented in the 1940s by stage magicians of the time. However, “abracadabra” has been around since ancient times. Its exact origin remains unknown, but its first use in written form occurred in the early third century AD when Serenus Sammonicus, the personal physician to the Roman emperor Caracalla, mentioned it in his book Liber Medicinalis (“The Book on Medicine”). In chapter 51, Sammonicus suggested that those who suffered from malaria, one of the oldest known diseases, first described by the ancient Chinese Canon of Medicine around the year 2700 BC, should wear amulets inscribed with the word “abracadabra” written in the shape of a triangle. Malaria was one of the leading causes of death in many regions of the Roman Empire, and since magic and mysticism were seen as vital parts of medicine, abracadabra amulets were immediately accepted as an effective cure for the deadly disease, even though they were essentially nothing more than ornamented jewelry. 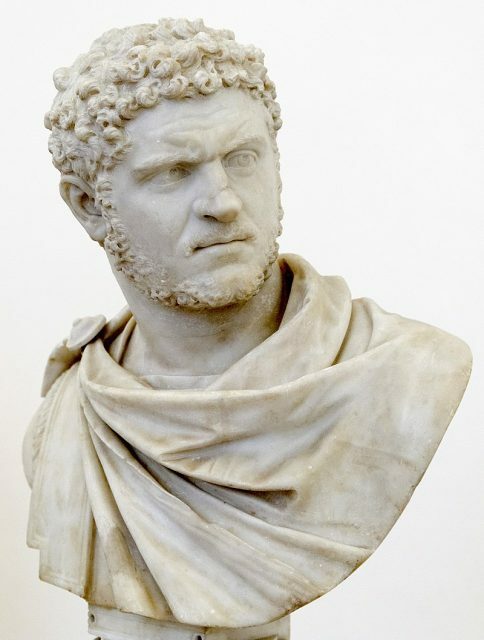 In fact, Emperor Caracalla himself was the first person to wear such an amulet, although he never suffered from malaria. He simply believed that the word possessed strong remedial properties and that it could protect the wearer of the amulet from various diseases, curses, and injuries. 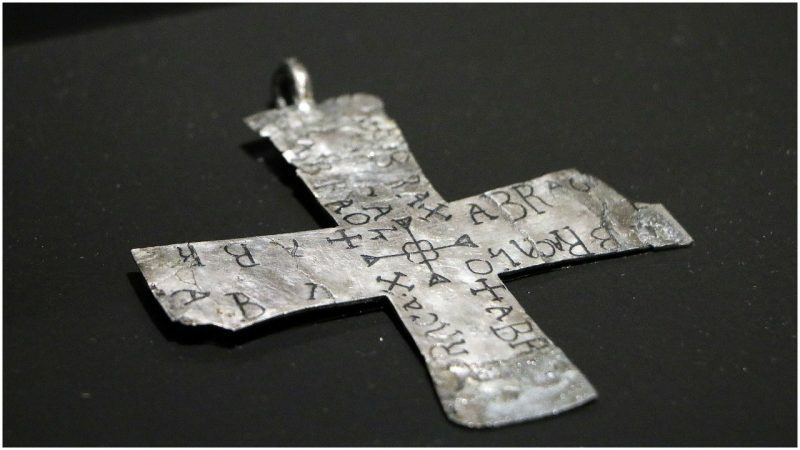 This belief quickly spread across entire Roman Empire, and people of all classes eagerly spent their earnings on abracadabra amulets and talismans, hoping that these trinkets would keep them safe from harm. Caracalla’s successors, emperors Geta and Severus Alexander, also followed the medical teachings of Sammonicus and continued the superstitious tradition of their predecessor. 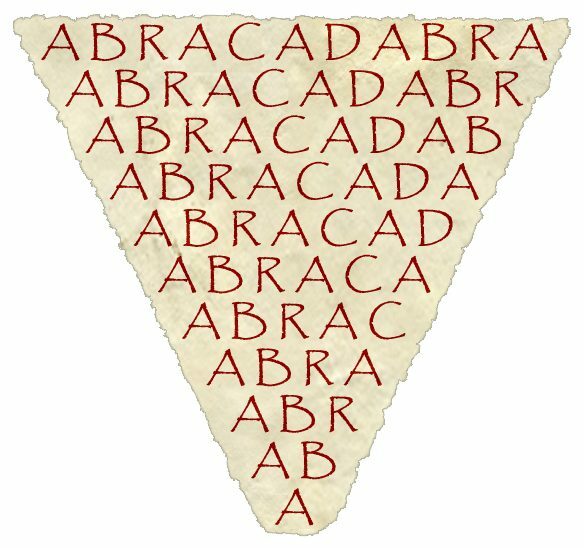 Abracadabra became synonymous with health and protection, and its popularity soon reached beyond the borders of the Roman Empire. Over time, the incantation implemented itself into the folklore of many European nations and was used for a variety of purposes. 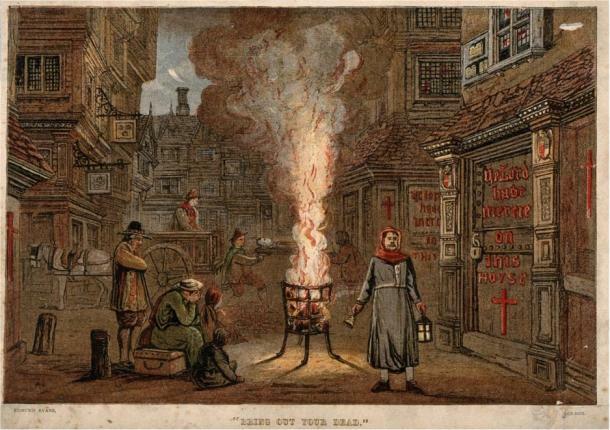 For example, during the Great Plague of London, which lasted for 18 months in 1665 and 1666 and killed as many as 100,000 people, many people believed that they could prevent the plague from entering their homes by writing the magical word “abracadabra” on their doors. This, of course, didn’t work: the only thing that the supposedly protective word gave to the thousands of desperate Londoners was a tiny speck of hope during a time of nationwide hopelessness. 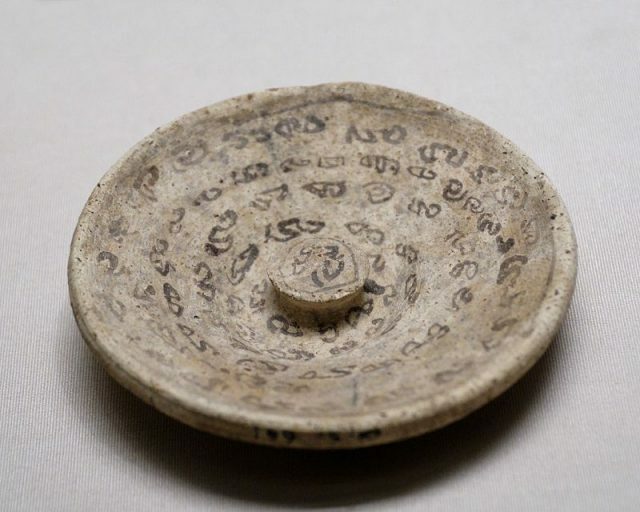 Lid with an Aramaic magical script. The word abracadabra is usually associated with tricks, illusions, and stage magic. Most people are unaware of the fact that the term has survived a long and turbulent history and was once associated with healing powers, esotericism, and the supernatural. Unfortunately for all the people who ever used it to try and cure their ailments, it was as unsuccessful as any other magical word or incantation. Nowadays, both malaria and the plague are treatable through various kinds of medicines, and, sadly, none of these medicines involve magic.